A busy 2018 at Cornwall Airport Newquay in the far southwest of England saw a number of new routes announced, including a much anticipated link to an international hub, London Heathrow, as well as the Irish carrier Stobart Air adding London Southend under the Flybe franchise. 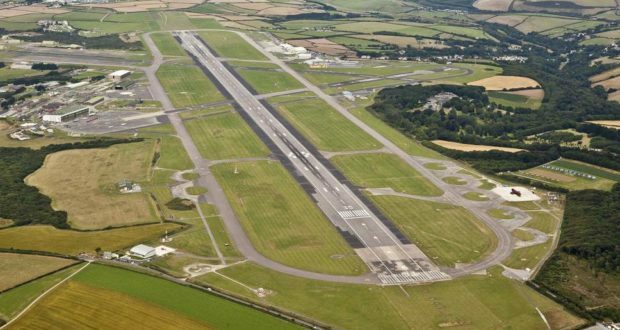 But the airport in the county of Cornwall says it is particularly delighted with a new airline partner, SAS, and its new link to Copenhagen to start this summer. Cornwall Airport Newquay maintains it was Eurowings’ success with its summer-season routes to Dusseldorf and Stuttgart, with onward connections to Berlin and beyond, that “gave SAS the confidence to announce a new Copenhagen route, bringing the opportunity for further inbound tourism into Cornwall from the Danish and wider Scandinavian market”. “We’ve had some fantastic new routes announced over the last year. The Copenhagen route has already proved popular with the Danish market, with flight dates being extended before the first flight has even landed,” claims Al Titterington, the airport’s managing director. The Copenhagen-Cornwall route is launching on June 28 with a twice-weekly service on Mondays and Fridays. The new service will generate an additional 2,880 seats from Cornwall Airport Newquay this summer, the airport says. According to the SAS webpage on its new destinations, flights to Cornwall Airport Newquay will continue until August 26. Overall, the year at Cornwall Airport Newquay ended on a high with passenger numbers up 20% year-on-year in November and 7.3% in December, year-on-year. Around 450,000 passengers used the airport, with projections for overall passenger growth by the end of the financial year meaning a fifth consecutive year of growth. Another “exciting” development, the airport says, has been that the UK-based charter holiday provider Superbreak has operated short breaks to Iceland during the first quarter of 2019, something that “was enthusiastically received by customers”. Cornwall Airport Newquay has year-round flights to seven destinations, bolstered by 12 seasonal routes this coming summer.